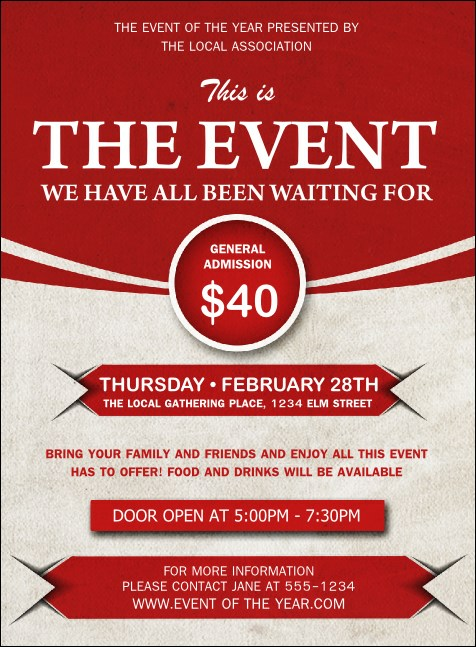 No matter your event, the Red Invitation is a great multi-purpose design for the occasion! Bright ruby accents cover the top, with a circle for the event price. Red text and highlights adorn the lower half on a creamy white background. List all your event details on the easy template and watch the RSVPs roll in! Create memorable events with the right design from TicketPrinting.com.